Speciality health communications agency KYNE is boosting its digital offering with the help of AI-focused group Medit. Under a new agreement, Julie O’Donnell, co-founder of Medit, will lead KYNE’s digital strategy and expand its digital resources as the company’s new global head of digital. Medit aims to make medical education more ‘efficient’, supporting peer-to-peer learning and collaboration. Prior to launching Medit, O’Donnell led digital and social marketing integration at Lundbeck. 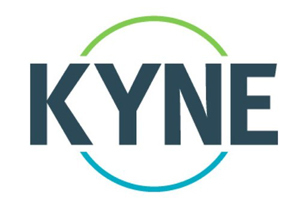 David Kyne, fonder and CEO of KYNE, said: “As our industry continues its rapid rate of change, it is imperative that we look to technology partners like Medit and great talent like Julie to stay at the forefront of innovation in healthcare communications. “Our investment in Medit is reflective of our continued focus on digital and the rapid growth KYNE has experienced in recent years.